There exists a long-standing rule in the United States that for an individual to be permitted to immigrate to the U.S., that individual must be able to financially support himself or herself. In other words, individuals who are or would be primarily dependent upon U.S. government assistance would not be eligible for immigration. Legislatively, a person falling into that category has been designated a “public charge”. More simply put, a public charge is an individual who is not capable of financially supporting himself or herself and who instead relies upon the U.S. government to do so. In October 2018, the U.S. Department of Homeland Security (“DHS”) proposed to expand the definition of a “public charge”. [CIS No. 2499-10; DHS Docket No. USCIS-2010-0012, Oct. 10, 2018] More specifically, a series of proposed rules was published that, among other things, expanded the scope of what levels of government financial assistance – or “public benefits” – would render an individual a public charge. The proposed rules would require that foreign nationals who are seeking an adjustment of status “demonstrate that they have not received, are not currently receiving, nor are likely to receive, public benefits as defined in the proposed rule.” Should they be unable to make such a showing, these individuals would not be eligible for permanent U.S. residence. The proposed rules are complex, multi-layered, and span 183 pages in the Federal Register. HOW DOES THE PROPOSED CHANGE POTENTIALLY AFFECT FOREIGN NATIONALS SEEKING PERMANENT U.S. RESIDENCY? If these proposed rules are enacted and the definition of a public charge is broadened, additional types of government assistance would be considered in making the determination whether an individual is considered a public charge. This subsequently would mean that individuals who are seeking an adjustment of status will have to meet a higher threshold to show that they are not likely to become a public charge. Undoubtedly, the proposed rules will allow a fewer number of individuals – particularly those receiving any kind of government benefits – to be eligible for an adjustment of status or a visa. In fact, as the new rules propose to broaden the scope of what public benefits would bar a person from an adjustment of status, commentators have estimated that this could affect thousands of prospective foreign nationals seeking to become permanent residents. 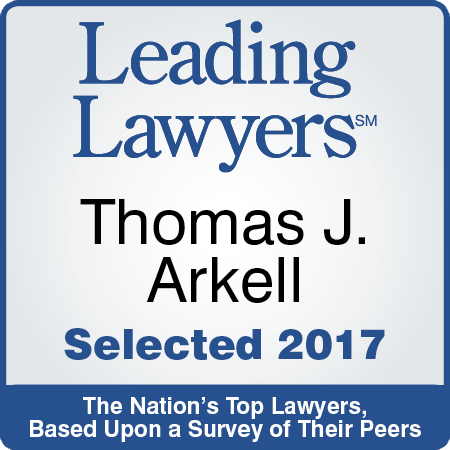 HOW CAN THOMAS J. ARKELL AND DUNN LAW FIRM HELP? Thomas J. Arkell provides valuable advice to clients regarding how the previous or current use of public benefits could affect their I-485 Adjustment of Status (“AOS”) application. Should these proposed rules go into effect, Mr. Arkell’s twenty years of immigration experience will undoubtedly be useful in navigating the complexities of the rules. As discussed previously in this blog, taking every precaution to ensure that an AOS petition is approved has become magnified now that a petitioner who receives an outright denial of an AOS petition can possibly be subject to the issuance of a Notice to Appear, which could then lead to subsequent deportation. Mr. Arkell has provided vital legal advice to thousands of foreign nationals and – having gone through the Immigration process himself – understands the magnitude of proper legal guidance at this important time in his clients’ lives. If you would like to contact Dunn Law Firm to discuss your credentials or to discuss a FREE consultation with Mr. Arkell, click HERE. National Interest Waivers (“NIW”) offer a unique route for individuals with exceptional ability to obtain permanent residence in the United States without labor certification or a U.S. job offer. In his new ebook, Your Guide To National Interest Waiver Petitions, Thomas J. Arkell, senior partner at Dunn Law Firm, LLP, explains what a National Interest Waiver is, who is eligible, and how individuals can successfully apply. Thomas J. Arkell leads Dunn Law Firm’s immigration team. With over 20 years of immigration law experience, Mr. Arkell has helped hundreds of researchers, Ph.D. students, doctors, and scientists fulfill their dream of permanent residency in the United States. Mr. Arkell, who himself came to the U.S. as an international student before gaining permanent residency and U.S. citizenship, has a unique personal and professional commitment to helping individuals with exceptional abilities obtain permanent residency. Your Guide To National Interest Waiver Petitions is a concise yet comprehensive guide written to help prospective NIW petitioners understand whether they are eligible, the process of applying for a NIW, how long that process takes, the evidence that the USCIS requires, and how much petitioners should expect to pay. Those who file a NIW petition are effectively requesting that the labor certification requirement – which is ordinarily mandatory when seeking employment-based permanent residence – be waived because it is in the national interest of the U.S. This labor certification process not only requires sponsorship from a U.S. employer, but it also can be long and cumbersome. Accordingly, one of the major benefits of an NIW is that it can effectively avoid any of those labor certification headaches. Eligibility criteria are discussed in depth in the ebook, but, in brief, individuals with exceptional ability who can demonstrate that their employment in the U.S. would benefit the country are most likely to be approved. For more detailed information on NIW petitions, you can access Your Guide To National Interest Waiver Petitions here. Importantly, if you feel that you may meet these requirements and would be interested in initiating the NIW process, Mr. Arkell and Dunn Law Firm would be happy to discuss a FREE consultation to start you on the path to permanent U.S. residence. USCIS adjudicators have recently received more latitude to deny immigration applications, petitions and requests. Last month, a USCIS policy memorandum (PM-601-0163) became effective that affords the USCIS the ability to deny an application without first issuing a Request for Evidence or Notice of Intent to Deny if the application lacks a certain degree of requisite evidence. This increase in discretion potentially could have an impact upon a number of routes to permanent residence, including National Interest Waivers. By way of background, prior to this policy memorandum, if a foreign national filed a petition that was devoid of certain information, the USCIS nearly always would issue either a Request for Evidence (“RFE”) or a Notice of Intent to Deny (“NOID”) with the purpose of putting the foreign national on notice that the petition was deficient in certain areas and giving him or her a chance to rectify its shortcomings. Previously, the adjudicators had been instructed by the USCIS to issue RFEs or NOIDs upon receiving an incomplete petition unless the petition had “no possibility” of being enhanced with additional information. Outright denials, therefore, were extremely rare. Now however, since the effective date of this memo, adjudicators have the ability to deny a case – including a National Interest Waiver petition – without the issuance of an RFE or NOID if it lacks enough supporting evidence to establish eligibility. In other words, if an individual deficiently files a petition, the USCIS is under no obligation to give that individual notice that the petition is incomplete, or a chance to address the deficiencies and fill in the gaps. In fact, the memo seems to actually encourage adjudicators to be more aggressive with denying cases outright. This change puts significantly more pressure on a foreign national seeking permanent U.S. residence to ensure that his or her application is not only complete, but compelling. No longer will an individual likely get a chance to amend a sloppily-filed petition – it will need to be done right the first time. The process of preparing and organizing an NIW petition can be document-intensive and involves numerous moving parts that can be extremely difficult to manage if attempting to file alone. Particularly, the tasks necessary for an effective NIW application include obtaining properly written and persuasive recommendation letters, preparing the documentation and forms that accompany the petition, drafting a convincing petition letter illustrating that the petitioner’s work is in the national interest, and properly filing the documentation and forms. This understandably can be a daunting task without the proper guidance. Moreover, with the advent of this policy adjustment by the USCIS, there likely now is much more at stake. To take it a step further, as noted in our previous blog post, should the petitioner receive an outright denial for perhaps a NIW or Adjustment of Status petition, and have no underlying immigration status, he or she could possibly be subject to the issuance of a Notice to Appear and subsequent deportation. The potential impact of this policy memorandum once again magnifies the importance of securing the help of a responsive and experienced legal immigration team to maneuver through the potential pitfalls that can befall those trying to obtain permanent residence in the United States. Thomas J. Arkell and his immigration team at Dunn Law Firm have successfully navigated the complexities of thousands of immigration filings. Why leave anything to chance? 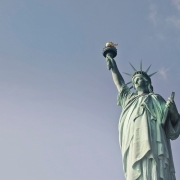 Let Dunn Law Firm ease your concerns and guide you on the road to green card success. If you would like to contact Dunn Law Firm to discuss your credentials or to discuss a FREE consultation with Mr. Arkell, click HERE. Recently, the U.S. government implemented a USCIS Policy Memorandum (PM-602-0050.1) that has increased the number of scenarios in which Notices to Appear will be issued. Generally speaking, a Notice to Appear (“NTA”) is typically the first step in the removal or deportation process. More specifically, an NTA is a document that requires the recipient to appear before a judge in Immigration Court and effectively notifies the recipient that removal proceedings have begun against him or her. WHAT DOES THE POLICY MEMORANDUM SPECIFY? In pertinent part, the policy memorandum reads that “USCIS will issue an NTA where, upon issuance of an unfavorable decision on an application, petition, or benefit request, the alien is not lawfully present in the United States.” The USCIS began implementing this policy on October 1, 2018. The practical application of this memo is that if the USCIS denies, for example, an I-485 Adjustment of Status (“AOS”) petition and the individual has no other underlying status, then an NTA will be issued to that individual. DOES THIS EFFECT EMPLOYMENT-BASED CASES? The short answer is, not yet. Accordingly, while this policy will not currently affect employment-based cases, there appears to be an indication that it could be extended to such cases at some point. WHAT ABOUT NATIONAL INTEREST WAIVERS? Because National Interest Waivers (“NIWs”) are employment-based, NIW petitions too – at least for the time being – are not affected by this policy memorandum. However, as discussed above, it seems that this could be a distinct possibility sometime in the not so distant future. Should this memo eventually be implemented to apply to employment-based cases, it could then have a direct and material effect upon those applying for an NIW petition. As an example, should a foreign national who has no other underlying status apply for an NIW and AOS and have either of those petitions denied, he or she would be issued an NTA, which could effectively spell the end to his or her time in the United States. 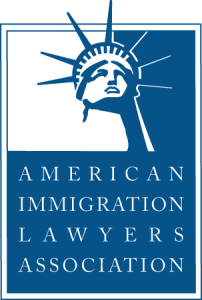 As a result, it is highly recommended that potential NIW and/or AOS petitioners – regardless of whether they are filing now or in the future – hire a competent experienced legal team to greatly increase their chance of success, and thereby decrease the risk of denial and deportation. Attempting to apply for any of these petitions by oneself or without the guidance of a firm with a proven track record leaves a great deal to chance. Thomas J. Arkell and his immigration team at Dunn Law Firm have helped thousands of international students, scholars, physicians, researchers and professionals become permanent residents of the United States. Mr. Arkell’s team has had a tremendous amount of success with both NIW and AOS petitions and would be happy to help you expedite your path to permanent residence in the U.S.